Nourish the body. How to feed your body. Step 3 for healthy life. | Health. Beauty. Success. 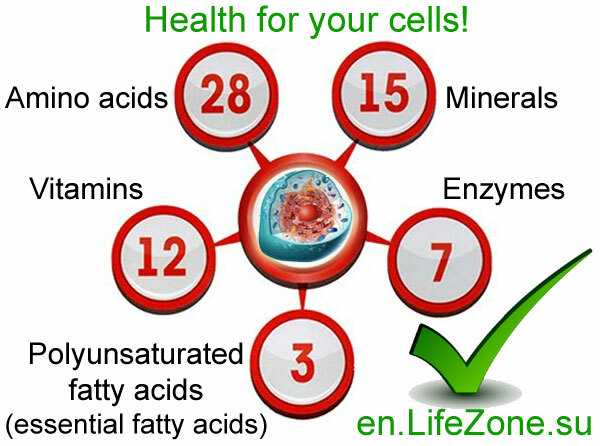 Healthy cell should produce healthy cells. Amusingly, even the sick cell is able to produce healthy offspring, but only if it means she’ll have enough building material. Cells have the genetic memory of healthy cells. It’s no secret that malnourished pregnant woman has minimal chances of having a healthy baby. The same thing happens with the cell if it’s not provided with adequate nutrition. If consecutive generations of cells are not fed properly, they become defective and lose their functionality. If the cells do not get enough materials for a while, their membrane becomes thin and they lose the ability to retain water. Large number of diseased cells leads to dehydration. Similar processes can be observed in the elderly, when their skin becomes flabby. The human body is composed of 12 physiological systems. All the systems consist of organs, the organs are made of tissues, and the tissues are composed of cells. The cell is the smallest unit of everything that lives, the underlying part of structure and development of the organism. 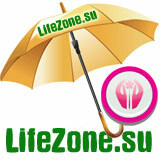 It is an elementary living system capable of self-renewal, self-control and self-reproduction. It eats, moves in search of food, chooses where to go and what to eat, protects itself and does not let inside unsuitable substances and creatures from the environment. Cells are the basic “building blocks of life” and if they are healthy, then the tissues and organs will be healthy as well. Our systems will function without deviation, and we will be healthy. Each cell carries out its duties and has its lifetime. Old cells are destroyed and replaced by the new ones. That’s how our tissues, organs, and eventually the entire body are renewed. Consequently, if the cells do not get enough building material, the execution of normal functions stops. Upon receiving all the necessary elements, the future generation of cells will be healthy and function properly. Cells are renewable. Complete replacement of old cells in the human body occur in 3-4 years. Cells of almost every type are renewable. It’s well-known that a sick liver can be fully recovered, if some healthy cells still exist. Bone replacement occurs in approximately 7-9 years. Therefore healthy cells produce healthy offspring. But if a sick cell has a building material matching the genetics of healthy cells, it can produce a healthy offspring as well. An example of this can be a pregnant woman who is not receiving enough nutrients. It is no wonder that she will give birth to unhealthy children, who will also produce sick offspring without proper nutrition. Our cells are the same: if there’s a lack of building materials, the next generation of cells is born inferior. In addition, exhausted membrane leads to cell dehydration. That’s why we need to find what nutrition is required by the cell on a daily basis. What does the cell need? 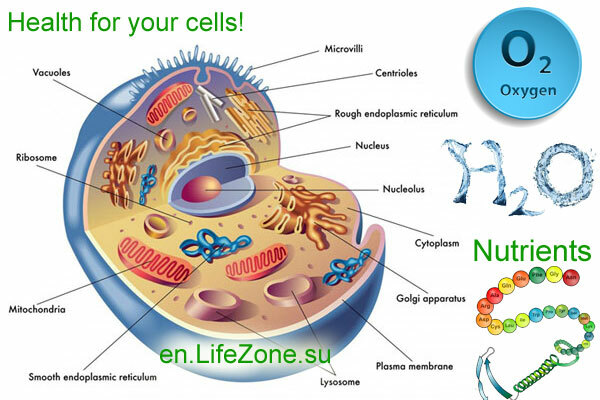 Every day, each cell needs proper nutrition (building materials), water (environment for biochemical processes) and oxygen. Thus, water, food and oxygen are necessary for the health of the cell. 3 polyunsaturated fatty acids (essential fatty acids). Amino acids are the building blocks of all living things: people, animals, plants. Our cells are made up of human proteins, but we do not eat other people. We are fed on plants and animals, and their aminos are decomposed by our body and with the help of minerals are turned into human ones. Otherwise, we would have looked like what we eat. There are 28 amino acids, and most of them are formed in the human body. Certain amino acids can’t be synthesized in the body, so they must be received with food. They are called essential. Should even one essential amino acid be absent, the synthesis of proteins is suspended, and this is the cause of disease. Even if a person consumes large amounts of protein, there are plenty of factors that lead to amino acid deficiency, namely, infection, trauma, stress, medication, aging and digestive disorders. Therefore, biologically active supplements containing essential amino acids, can be of great help in maintaining and restoring health. Minerals rearrange amino acids in a necessary order. Only organic minerals should be present in the human body (inorganic are poorly absorbed and instead are accumulated in the body). In the natural environment organic minerals that can be digested by the human body are present in amino chelate state. They are formed when plants process inorganic minerals, obtained from soils. Soil degradation leads to the lack of minerals in the body! For example, diabetes may occur when chromium or vanadium are lacking, an insufficient amount of iodine leads to thyroid disease, and the heart needs potassium to work. Lack of tin in the body can lead to hair loss, lack of copper – to early gray hair and wrinkles, lack of zinc is a reason for the loss of smell and taste. Especially men need zinc. Lecithin is a major constituent of the liver, brain and nerve cell membranes. Lack of calcium leads to 150 different types of diseases, including osteoporosis, arthritis, seizures, hypertension, dental caries and so on. Lack of selenium, which contributes to cancer, cardiovascular and endocrine diseases, is a worldwide problem. Nutrition is a very important stage. After all, if you care only about vitamins and dietary supplements, you can feed the parasites. Without the proper natural water vitamins tend to pass by the cell. Vitamins start the process of replacing minerals in amino acids and provide minerals with energy necessary to rearrange the amino acids . Vitamins are only absorbed in their natural form. Enzymes act as control of all vital processes in our body. They “dismantle” everything that’s complicated into simple components and take part in the digestion of food. Only in the presence of enzymes energy is extracted from food. The body needs plant enzymes, since animal enzymes (for example, “Mezim forte”) are addictive. Enzymes trigger vitamins, vitamins are involved in chemical reactions of amino acids rearrangement by minerals. Substitution of minerals in the amino acid matrix leads to a change in the amino acid molecule itself. Without enzymes, vitamins and minerals are virtually ineffective. The essential fatty acid or polyunsaturated fatty acids are the basis of the cell membrane (or the cover, 50%), providing the necessary permeability. Without healthy membranes, cells lose their ability to retain water, amino acids and other nutrients, as well as the ability to transmit genetic information. Also, essential fatty acids are crucial for the functioning of the nervous system and brain. Ergo, 28 amino acids, 15 minerals, 12 vitamins, 7 groups of enzymes and 3 essential fatty acids form a single chain. And it’s necessary for our cells to absorb them every day. 1 Coral Zinc tablet contains the same amount of beneficial agent as 13 kg of pears, 25 kg of peaches or 12 kg of raspberries. 1 Coral Iron tablet matches 1.5 kg of juicy fresh apples or 3 kg of strawberries. 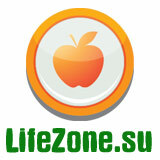 1 tablet of vitamin B complex “Tasty B” replaces the 80 kg of sweet pears. And if your child does not want to eat 5 kg of plums per day, give him a tablet of tasty vitamins for children and this will satisfy the daily need of iodine! The cells needs amino acids, vitamins, enzymes, essential fatty acids, and minerals, which include calcium, potassium, selenium, iodine, zinc, iron, copper, iron and others. These materials should be replenished every day! It should be noted that the efficiency of each individual element is too small. All of the processes are interrelated. Enzymes act as a trigger for vitamins, which, in turn, take an active part in the chemical processes leading to the restructuring of the amino acids with the help of minerals. During the replacement of the minerals in the amino acid matrix, changes occur in the amino acid molecule itself. 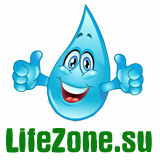 Without enzymes, vitamins and minerals effectiveness is negligible. The action of vitamins is ensured by enzymes, and vitamins, in turn, are involved in amino acid rearrangement, after which the entire amino acid matrix is changed. 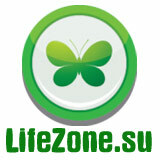 In the absence of enzyme other components lose their effectiveness. But event with sufficient amount of building blocks, no normal metabolic processes in cells occur without water. The main component of high-quality work cell is an liquid environment. Ergo, 28 amino acids, 15 minerals,12 vitamins, 7 groups of enzymes and 3 essential fatty acids form a single chain. And it’s necessary for our cells to absorb them every day. We should get all of the nutrients from food, but there is a number of conditions. At the temperature of 60 degrees Celsius amino acids, vitamins, fatty acids and enzymes are destroyed. That’s why more than 50% of the food we consume shouldn’t be processed. If any food preservatives are used (natural preservatives – salt, sugar, vinegar, citric acid, artificial and – flavor enhancers, odors, colors, emulsifiers, additives E), vitamins and enzymes, even those which are already in our body, will be destroyed. Sunlight, oxygen and the flow of time itself are harmful for them (there are no vitamins or enzymes in a jam). The only way out of it is to balance and optimize your diet. 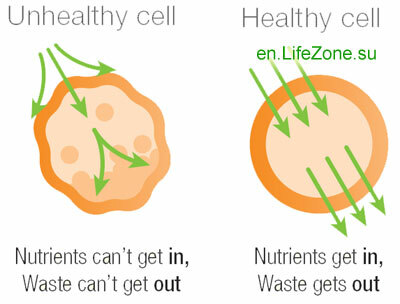 Thus, each of the cell nutrition components is equally important. It is necessary give cells proper nutrition every day, and remember that they are renewable. Natural products of the Coral Club can help you make up for the lack of nutrients and fully restore the health of your cells. It is important to understand that even if you give a cell all the necessary building blocks, little gets inside without water. Moreover, since all of the cellular metabolic processes are associated with the liquid environment, the water you consume should possess a number of specific properties.